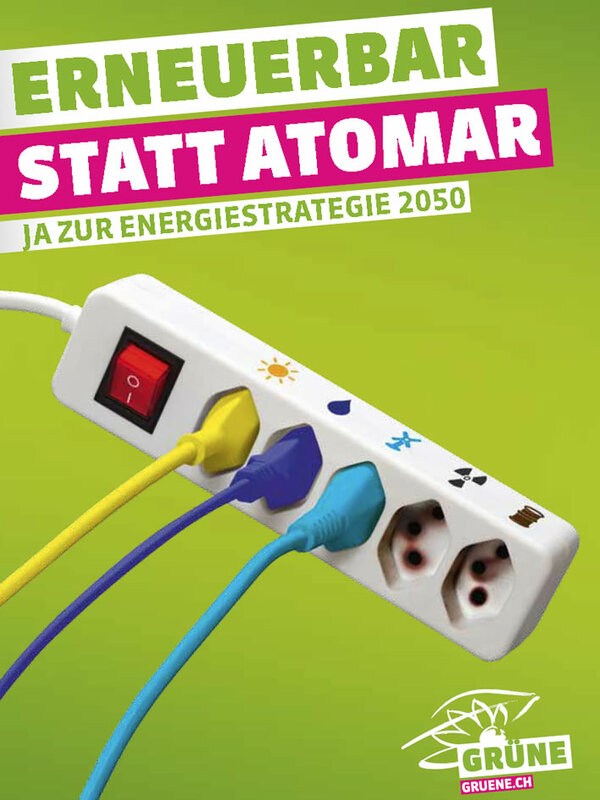 On 21 May the Swiss will vote in a referendum on whether to have their very own Energiewende, 'Energy Revolution'. On the one side are the sunbeams, wind and pixie-dust tribes: Switzerland will show the world that it is possible to have an advanced economy that is 'clean'. On the other side are the tribes who want a secure and inexpensive energy supply but don't really know how to achieve it. One side wants to cover every half-viable external surface in Switzerland with heavily subsidised solar panels and erect wind-turbines against the local wishes that have so far successfuly blocked them. The intermittency problem will be solved by Elon Musk. Above all, energy consumption must be dramatically reduced, since there is no way that the sunbeams and flapping of fairies' wings will meet current energy requirements. Happy colours, green the colour of hope! The other side has no options: after Fukushima, nuclear power is the source that cannot speak its name, hydroelectric is too expensive and Switzerland has committed itself to a carbon dioxide future of zero-emissions. This side's publicity is based on a picture of a woman shivering in a cold shower. The campaign has also foolishly put a number on the extra energy costs that will be faced by Swiss households – a number which, given the imponderables in the whole subject, could never be accurate. Black and red, those cheerful colours: who else was fond of them? Whether the voters accept or reject the Energiegesetz, the 'Energy Law' proposed by the referendum, the consequences are imponderable. As long as the Swiss continue to be obsessed with the idiotic reduction of 'emissions' they have few options. 13:17. The result is in: between 55% and 60% of the voters of Switzerland have decided to accept the proposal for the new 'Energy Law'. For more than 20 years the political conservatives in the Swiss Federal Council have chosen to run ministries such as Defence and Finance, considering these ideologically important. Transport, Energy and Welfare have been left to the various flavours of red-greens, meaning that Switzerland has gone so far down this road to hell that the current result will only speed up the process. Teams of activists are currently touring schools persuading pupils to eat insects in order to save the planet. Fortunately, we still have the army, just in case the Austrians decide to attack and steal our shiny new solar panels.